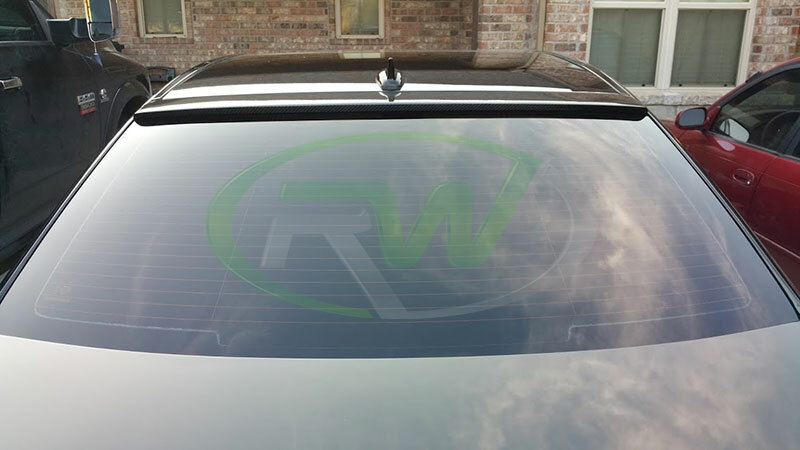 November | 2014 | Welcome to the RW Carbon Blog! 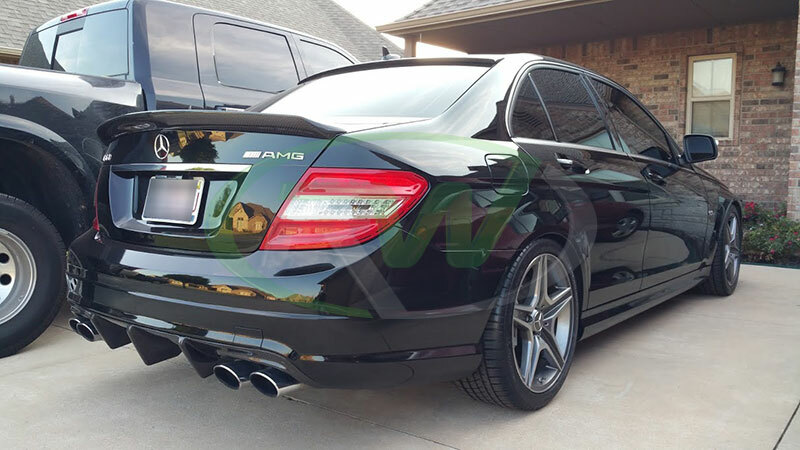 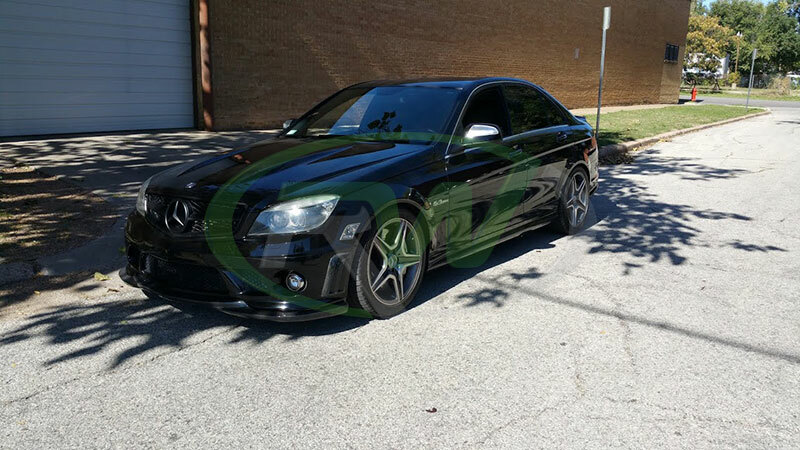 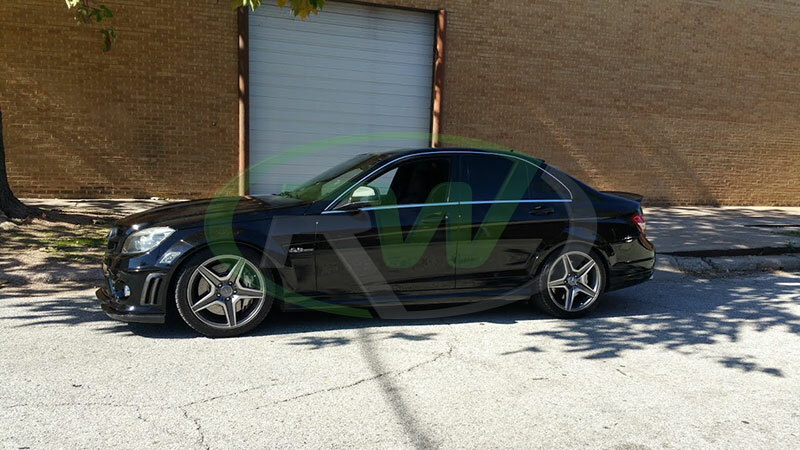 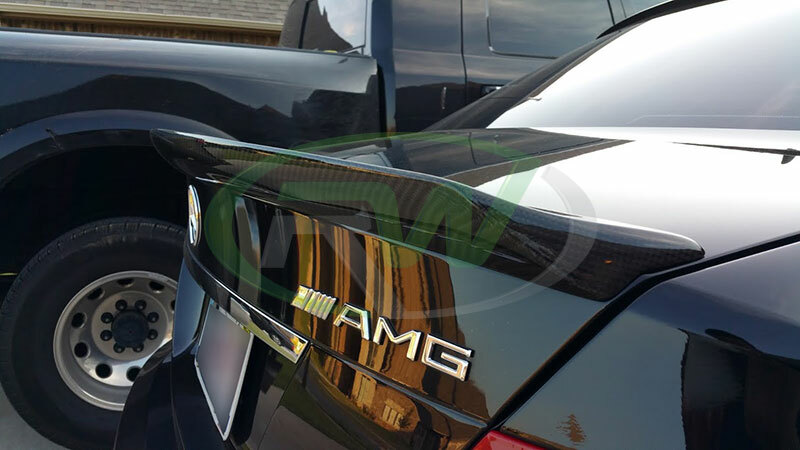 Enjoy our biggest discounts of the year on many popular BMW and Mercedes carbon fiber items. 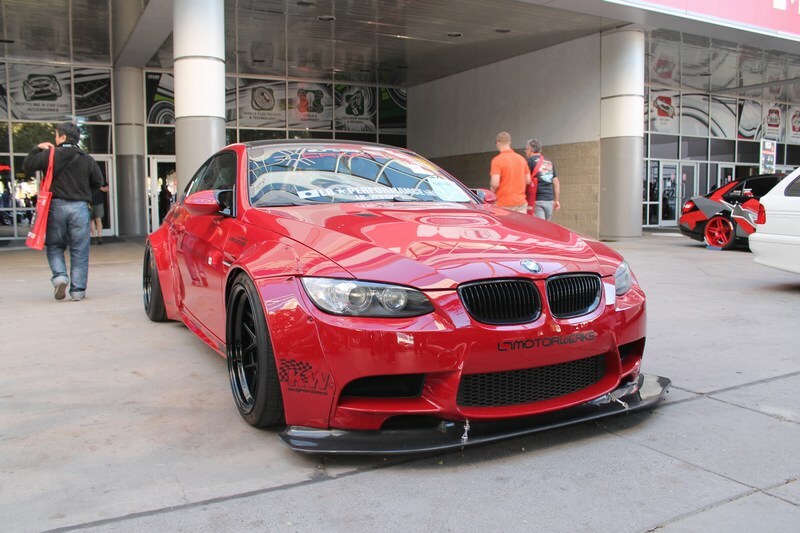 Not only do we have hefty discounts on our aero carbon fiber parts, but we also have CF packages as well which will allow you to completely change up the front and rear appearance of your vehicle. 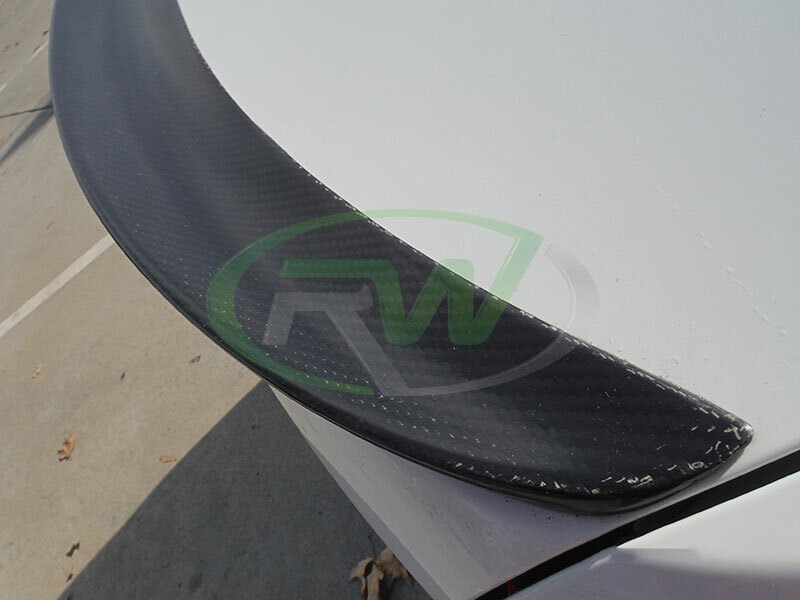 View some of the RW Carbon Black Friday Specials below. 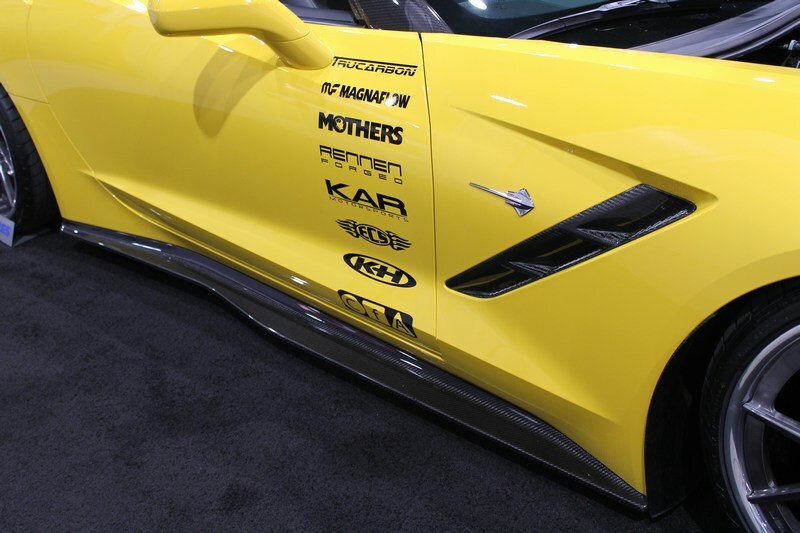 Click here to checkout our full Black Friday Sale! 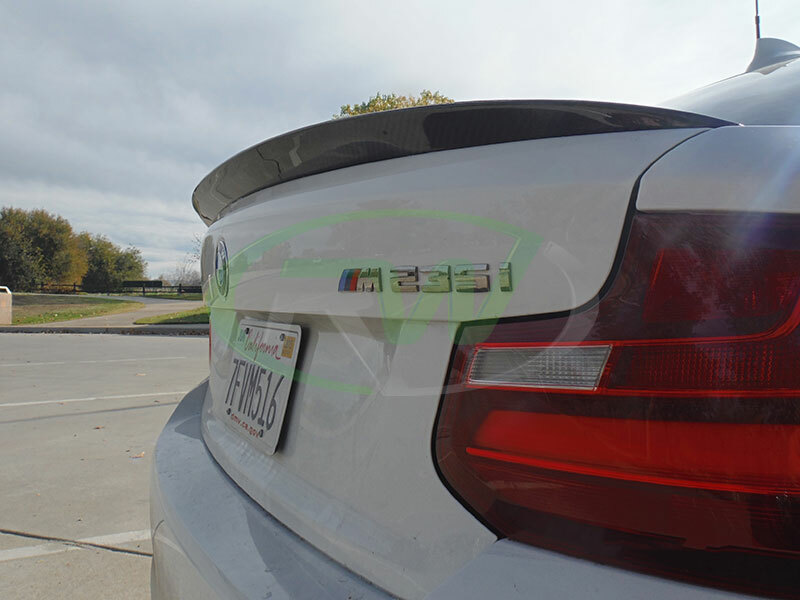 A big thanks goes out to Peter for choosing us to be apart of his build. 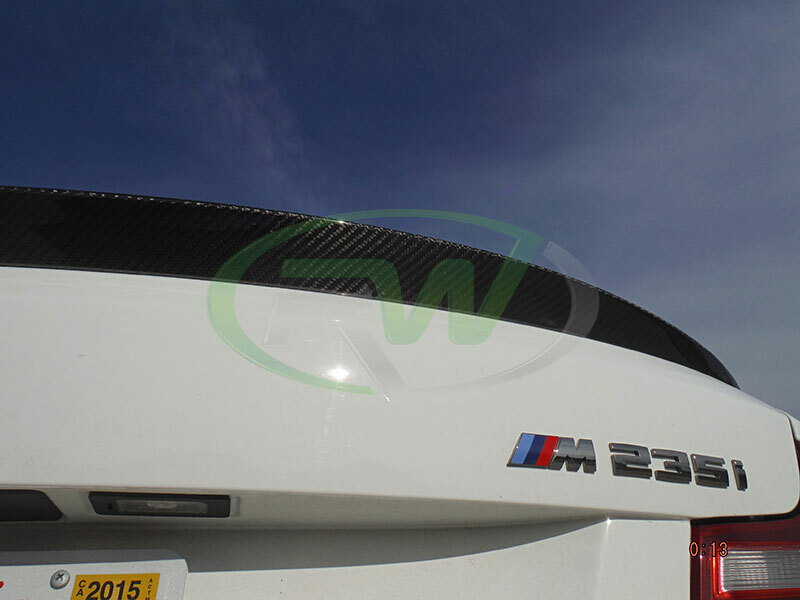 BMW F22 Performance Style Carbon Fiber Trunk Spoilers In Stock @ RW Carbon! 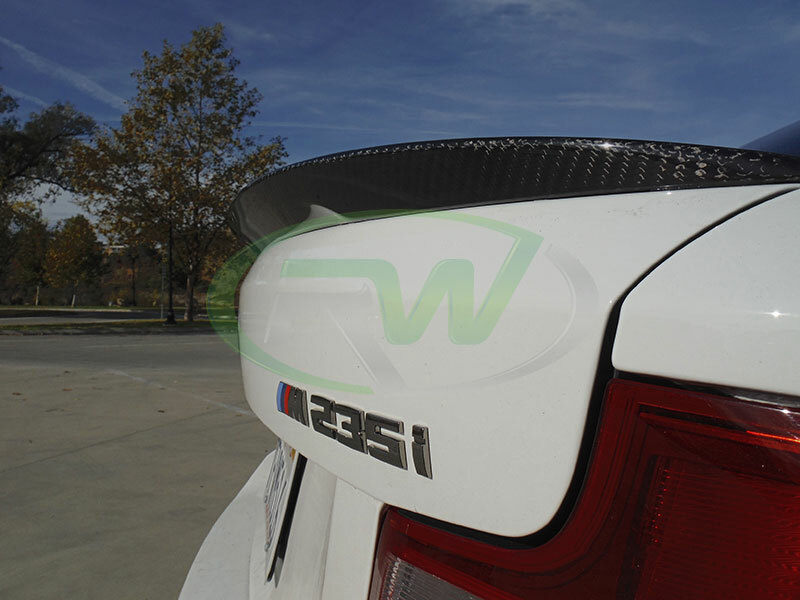 You read the title correctly, RW Carbon is now stocking the Performance Style Carbon Fiber Trunk Spoiler specifically designed for the BMW F22 2 series. 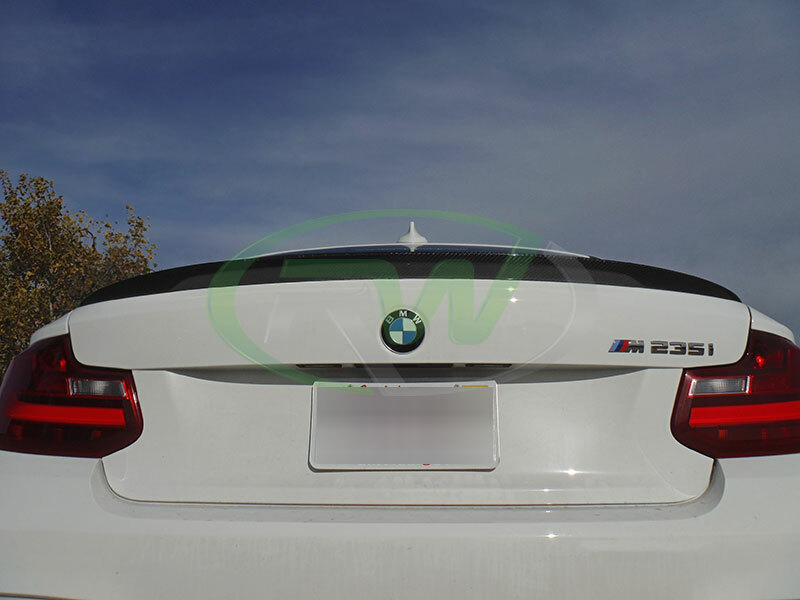 This trunk spoiler fits the 228i and M235i models. 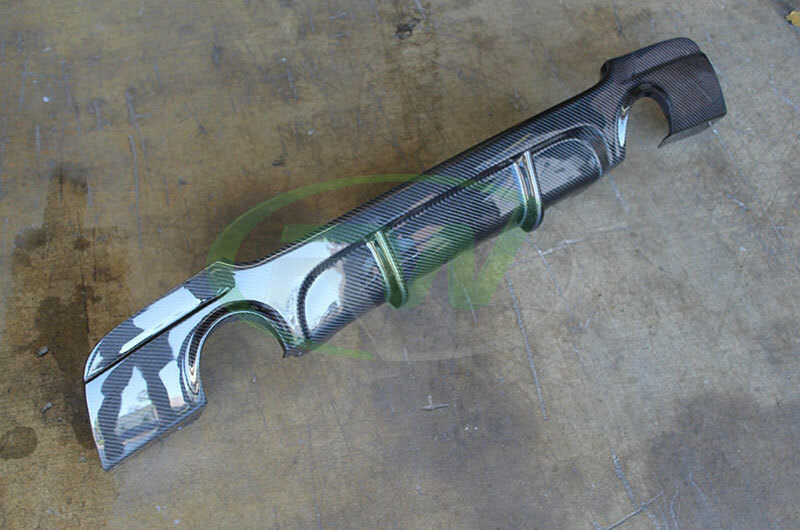 It is constructed using 100% REAL 2×2 carbon fiber and an advanced method called vacuum forming. 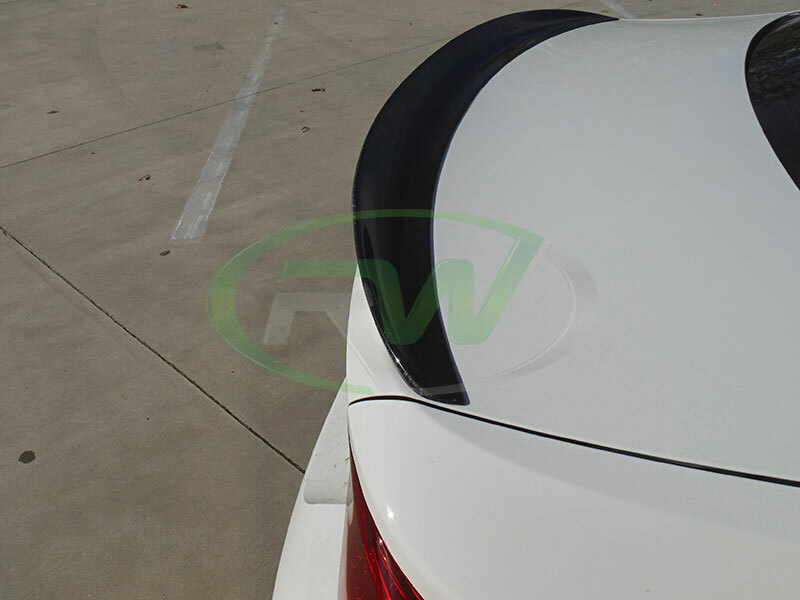 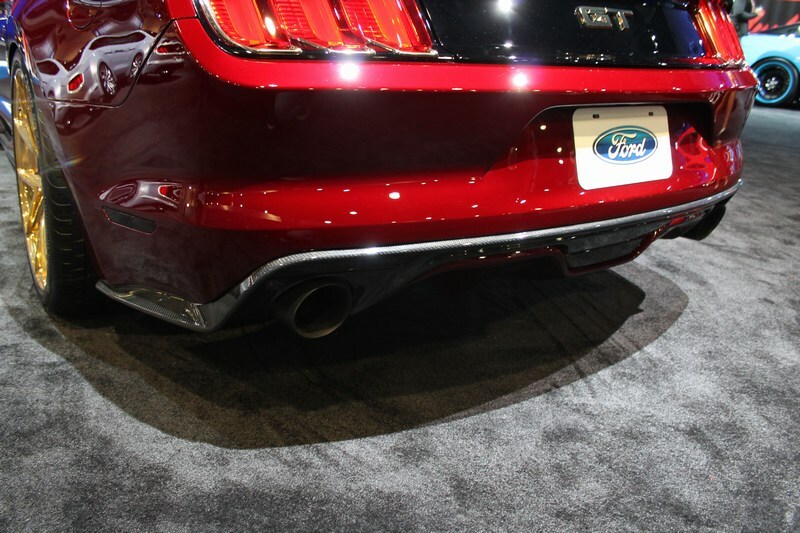 This enables the trunk spoiler to be very light weigh, strong, spot on fitment and affordable. 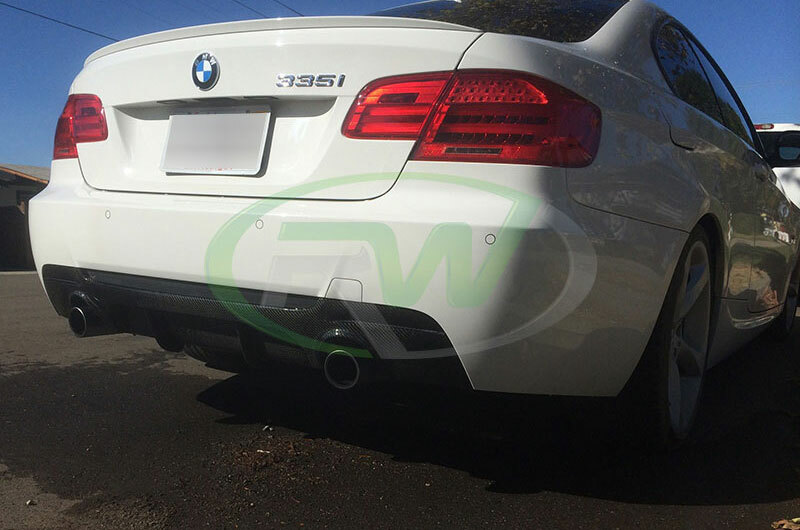 No longer is there a need to go spend double the price at the BMW dealership when you can now get the same product at RW Carbon. 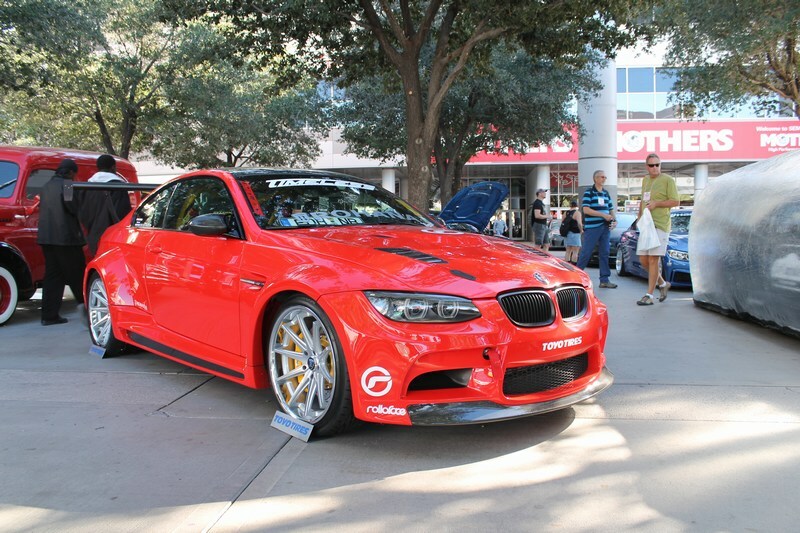 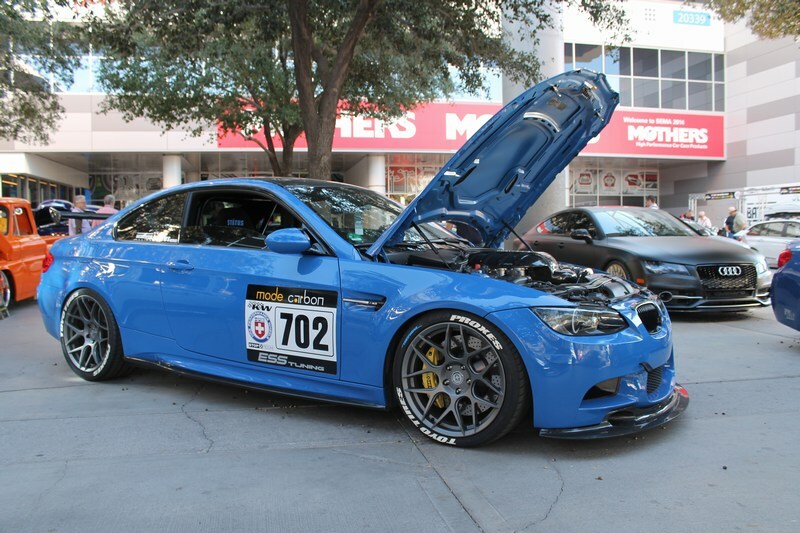 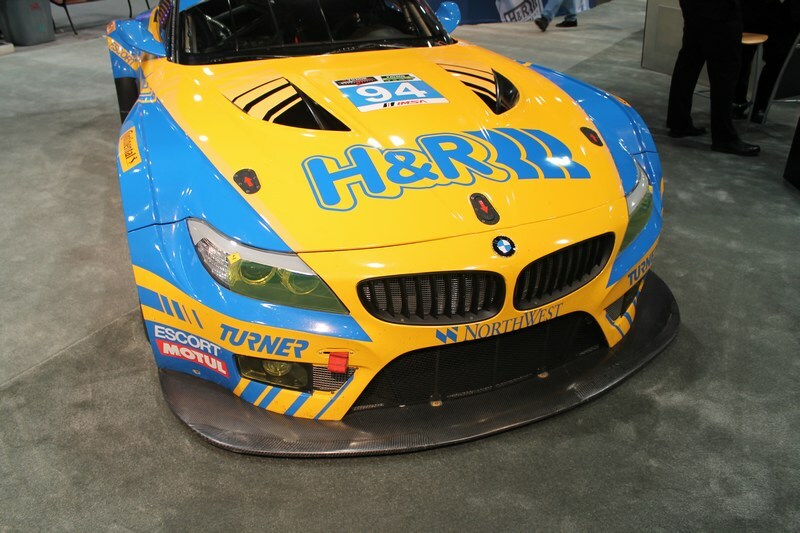 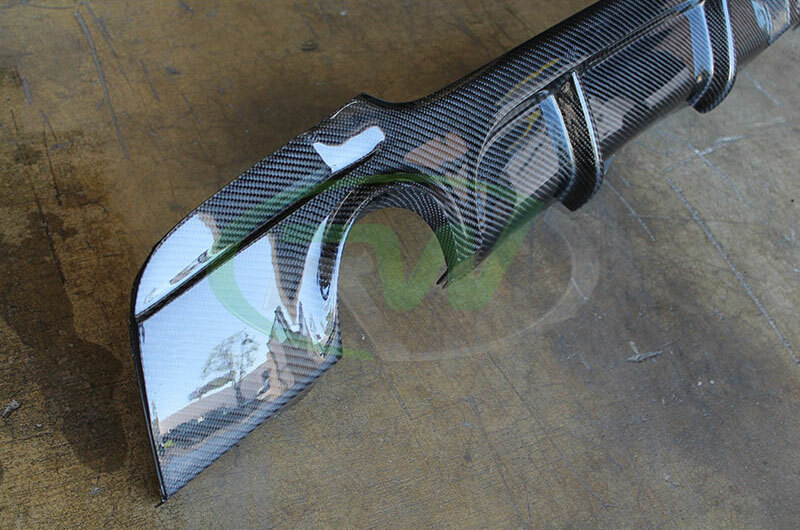 Looking for some other carbon fiber parts for your BMW? 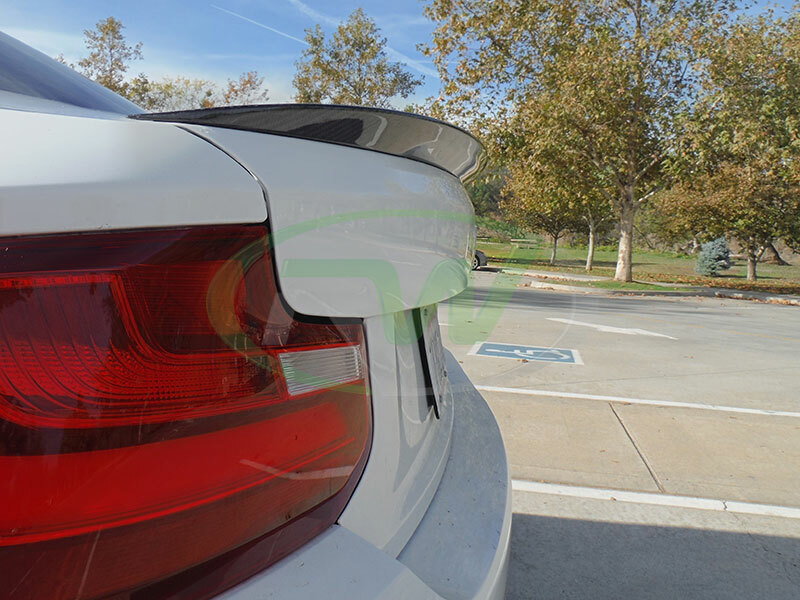 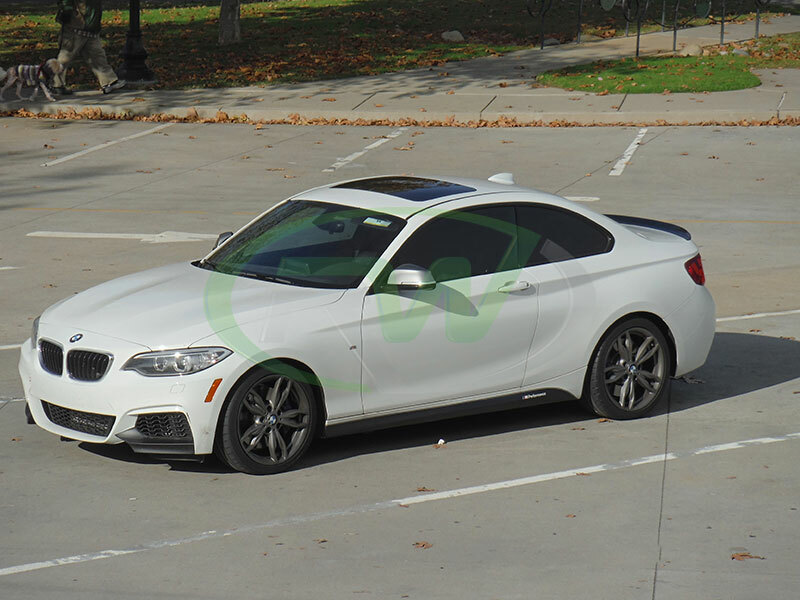 If you have any questions or concerns about this beautiful performance style carbon fiber trunk spoiler for the BMW F22 2 series please contact us today by email (info@rwcarbon.com) or give us a ring at 714.328.4406. 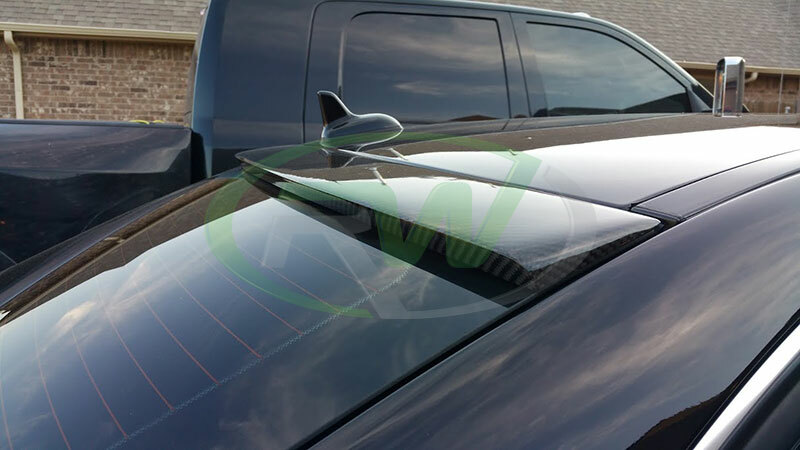 For more information and pictures of the product visit our online store by clicking the link below. 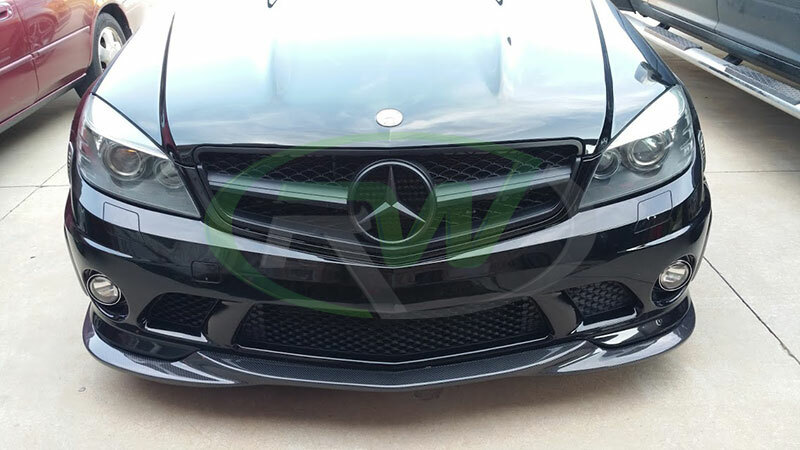 Finally we have a front lip option for the 2013+ CLA250 sport and CLA45 AMG! 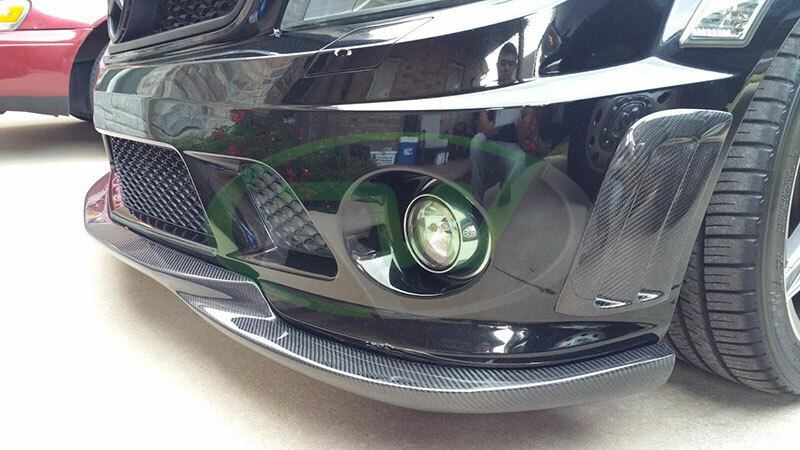 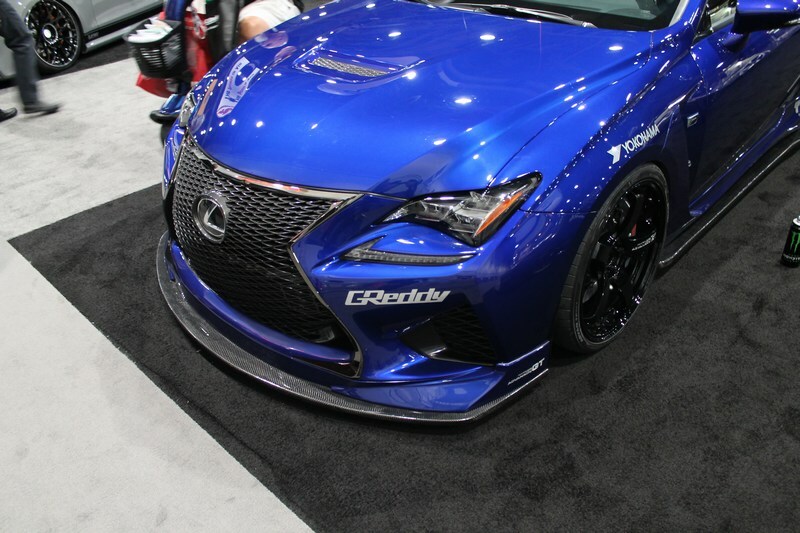 We went with modest styling cues for our lip and designed it in a way that it bolts up to your factory front bumper. 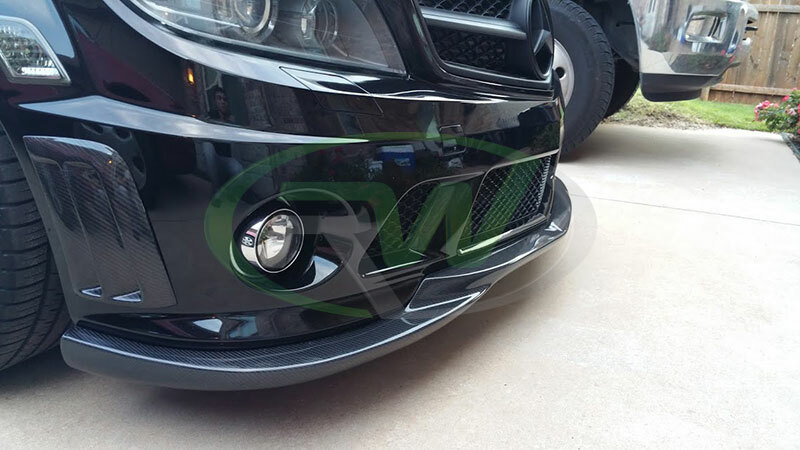 The lip actually takes the place of the painted or silver/black lower portion on your front bumper for an OE+ look. 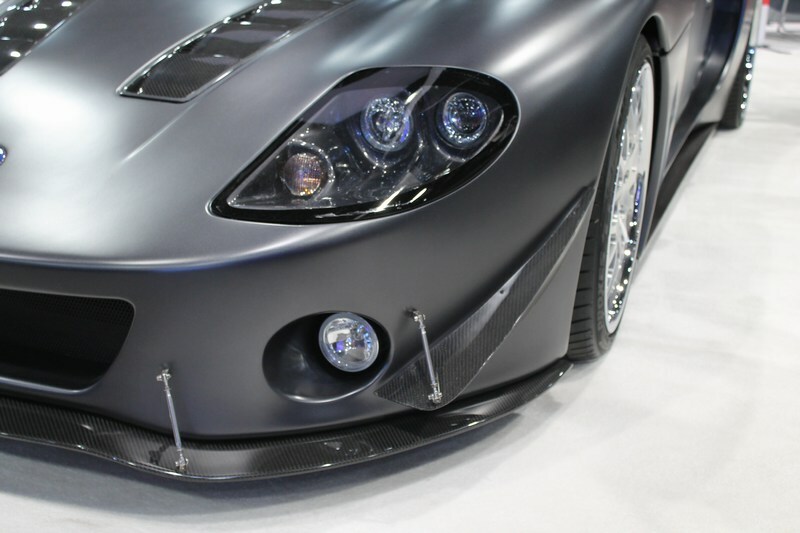 Speculation has it that within six years a quarter of all eco cars will utilize carbon fiber in their construction. 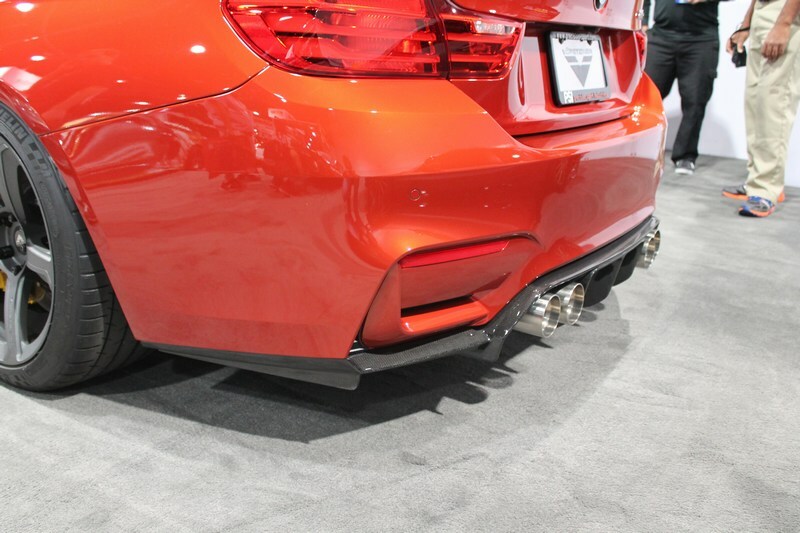 Companies such as GM, BMW and Toyota already have plans to turn to this lighter material in search of improved fuel economy. 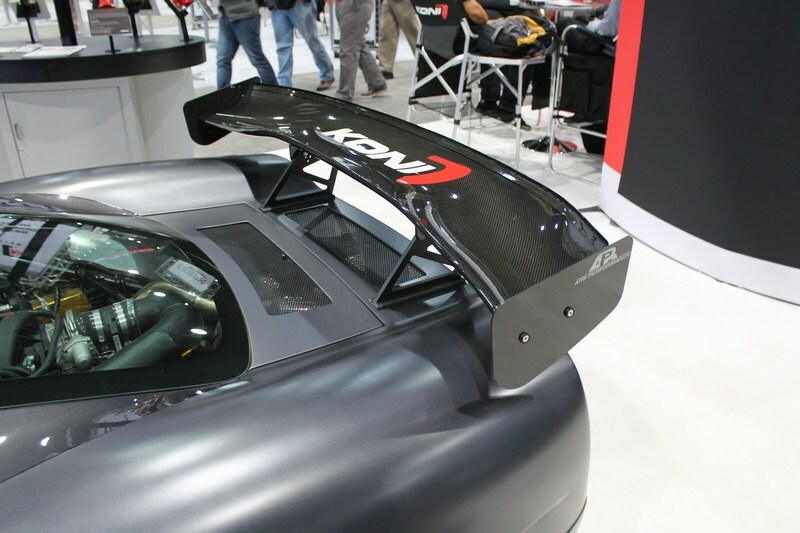 Teijin Ltd. the carbon fiber manufacturer that provides Airbus Group with all their CF, forecasts industry sales of carbon fiber will reach as high as 3 million units by 2020. 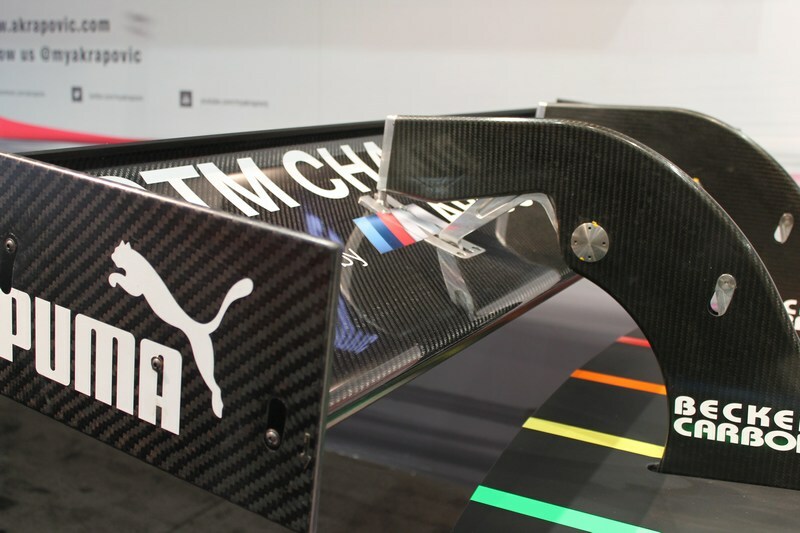 So far we have mostly seen carbon fiber used for super/hyper cars and luxury cars (except for the BMWi3), but that is all about to change. 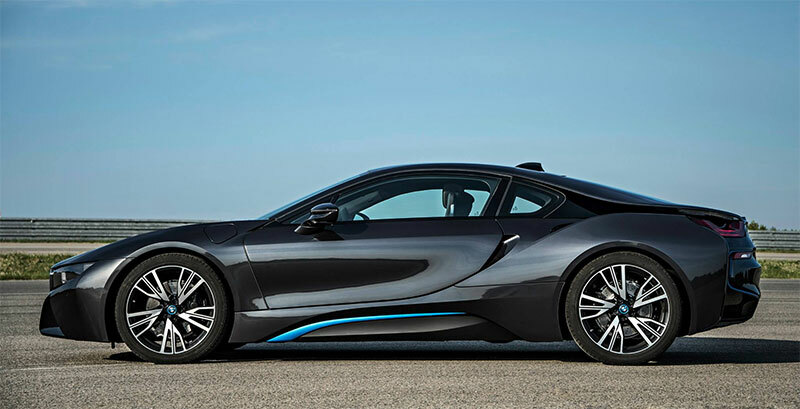 In the 100 million cars to be made in 2020, 12% of those will eco and electric cars that will be built with the help of carbon fiber and composite materials. 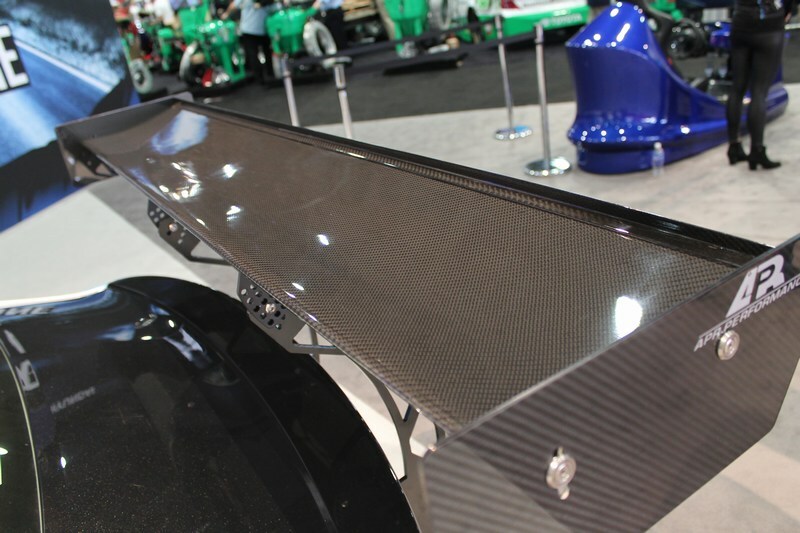 Teijin is now looking to open a factory in the US to be closer to GM and hopefully form an alliance that will rocket them to the top of carbon fiber manufacturing industry. 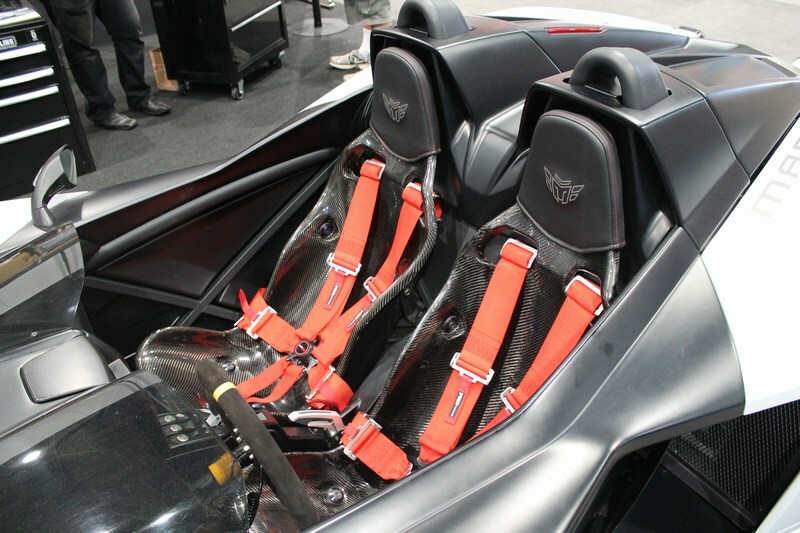 With so many advancements in carbon fiber and its manufacturing process, carbon fiber can very well be seen in every car in a nearer future than we had before seen. 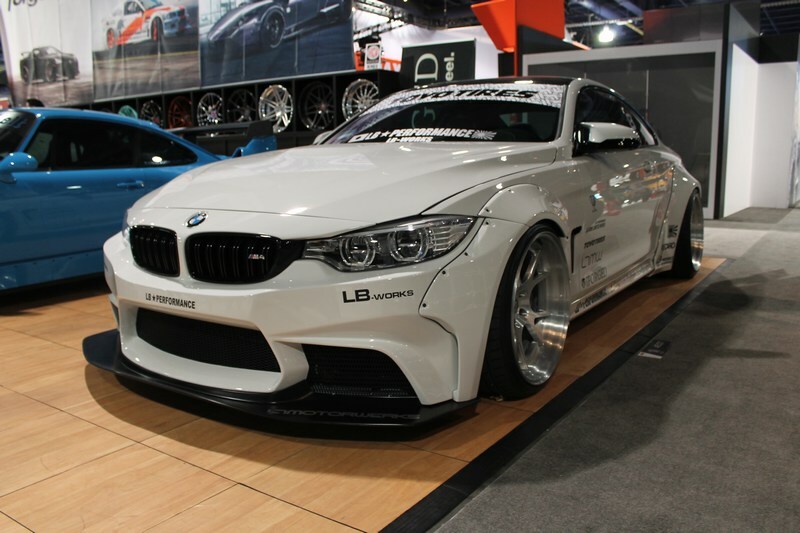 The SEMA show this year was a great success. 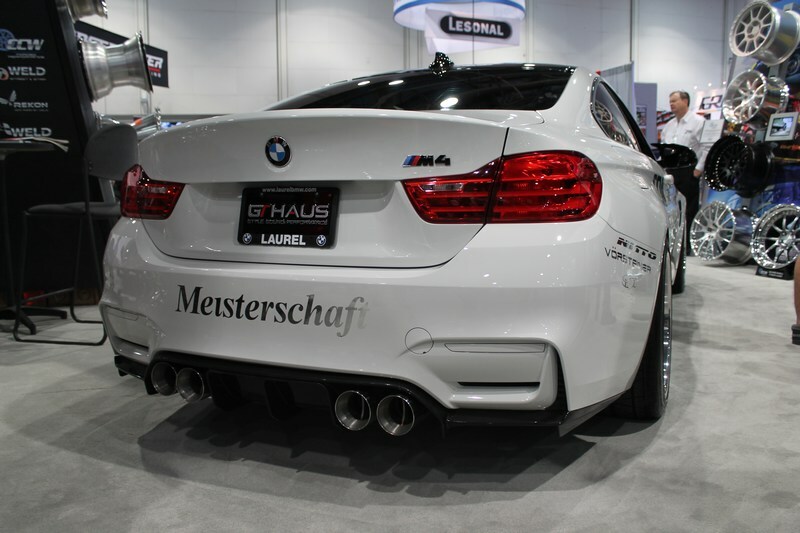 There were thousands of sponsors and manufacturers that came to the Las Vegas convention center to show off their new cars and products, each one have its own wow factors. 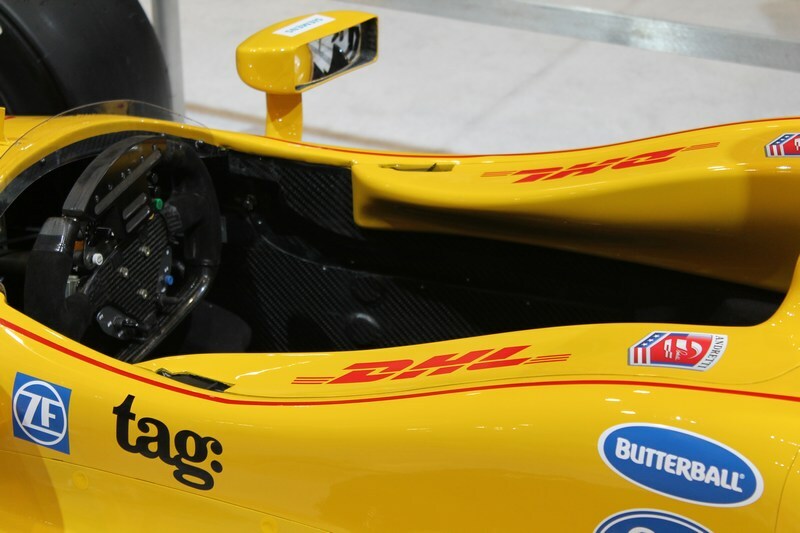 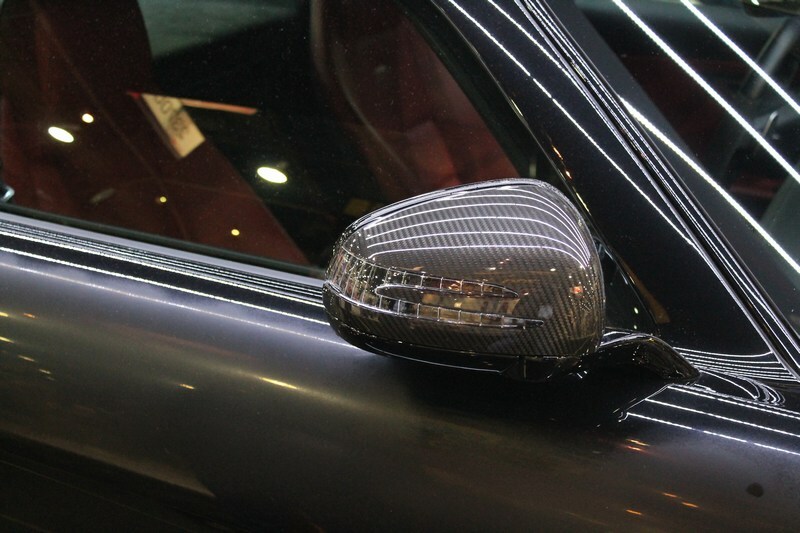 One factor that was frequently reoccurring was the use of carbon fiber on the show cars. 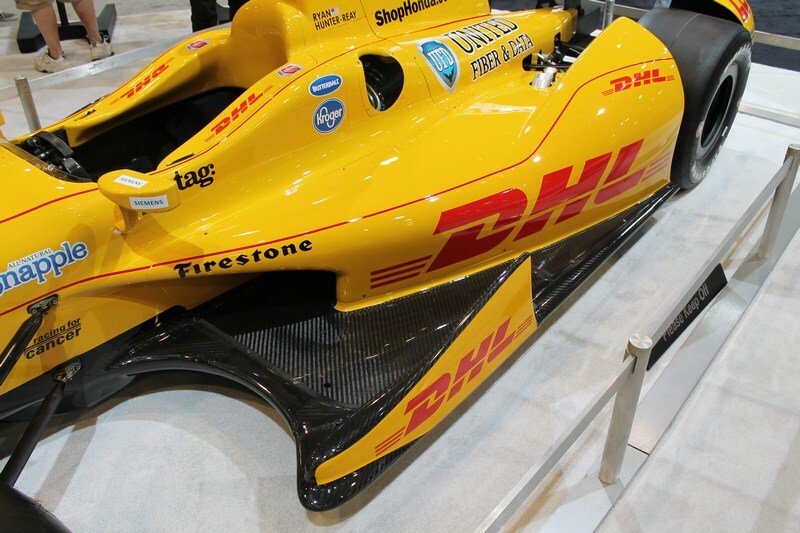 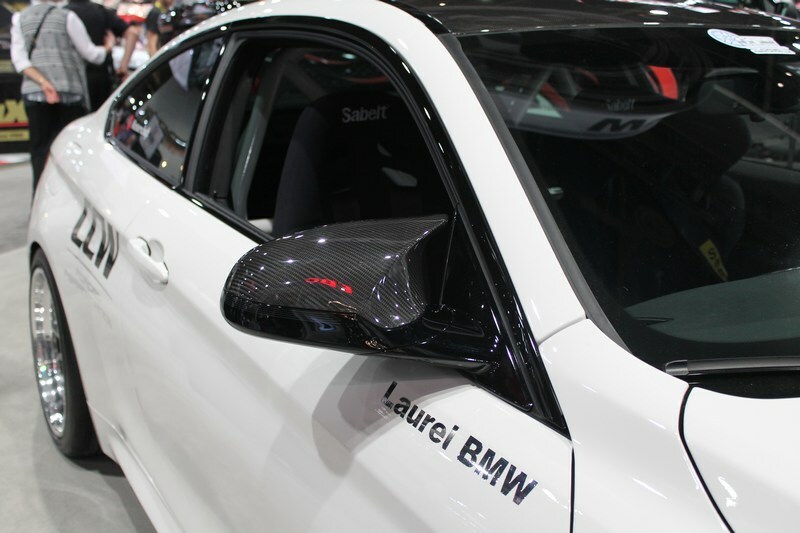 As we have mentioned before, carbon fiber is the future for automobile manufacturing as well as the next big thing in the aftermarket community. 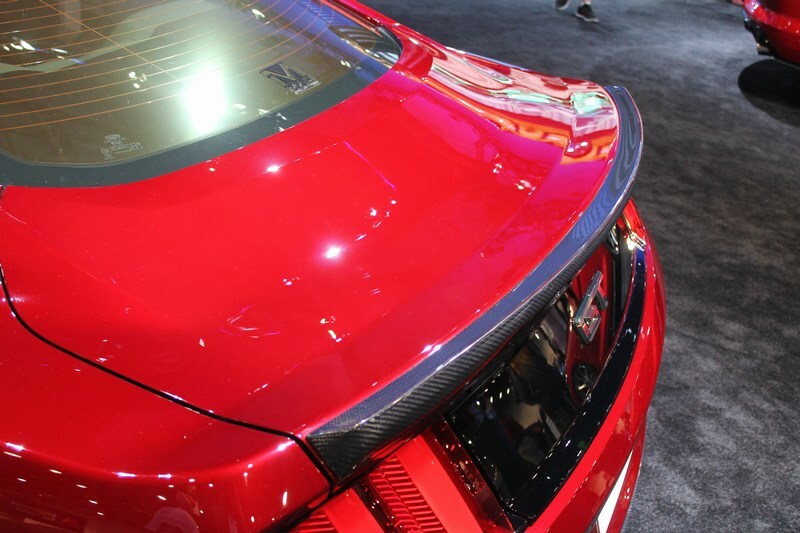 Every year we notice more and more build cars with carbon fiber as the focal point. 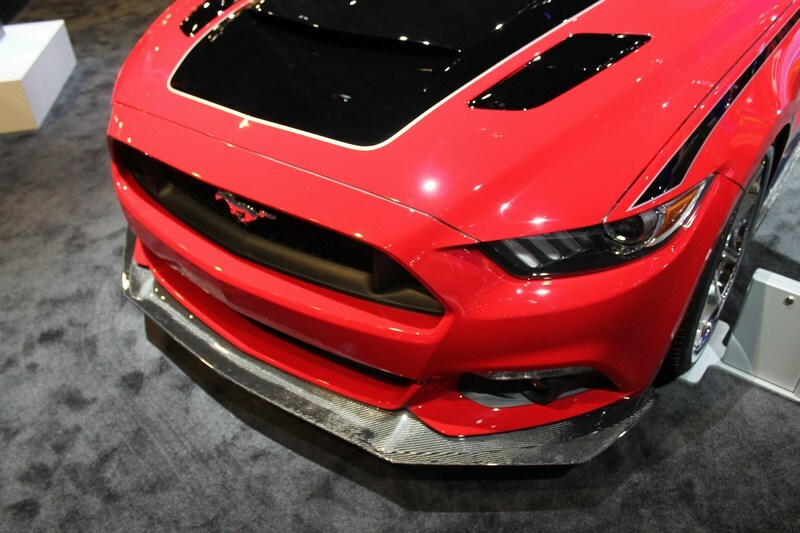 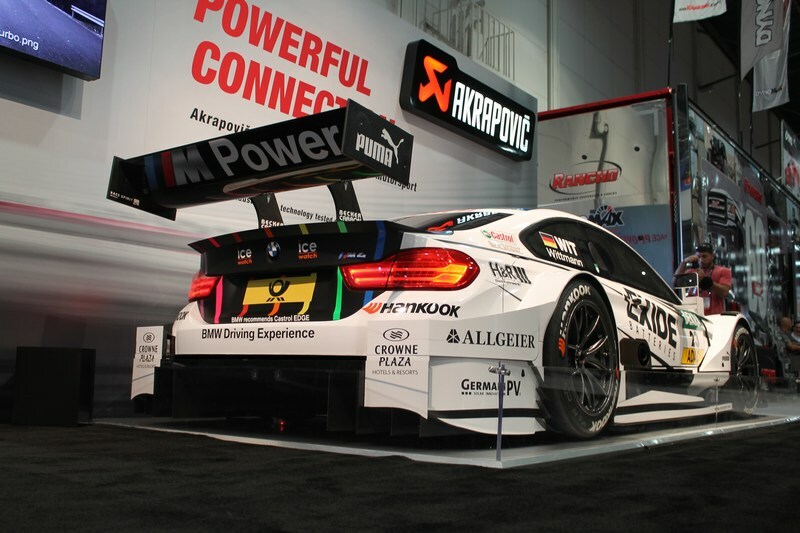 Whether it was a performance built race car using carbon fiber to lighten the load or a gorgeous production car using it to heighten its appearance, carbon fiber was definitely apparent at this years SEMA show. 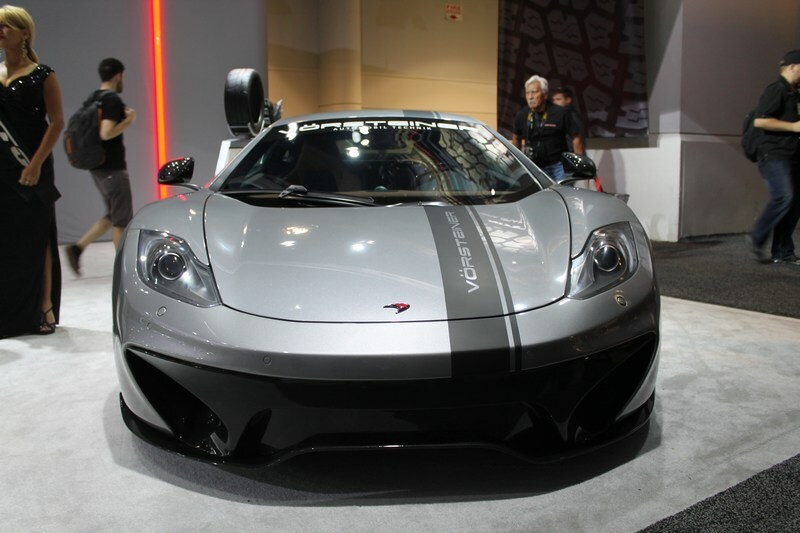 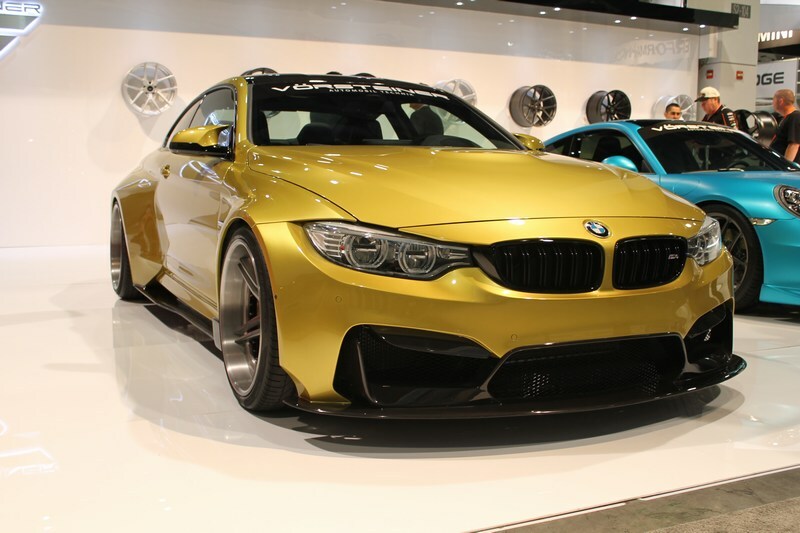 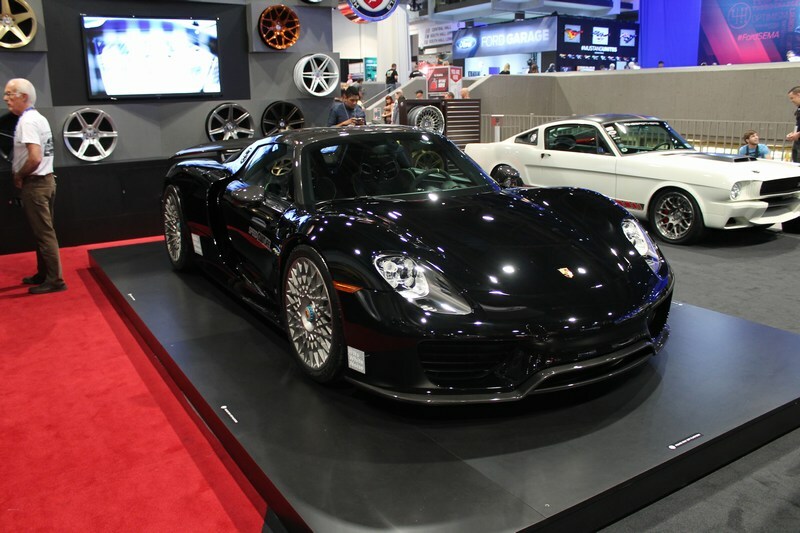 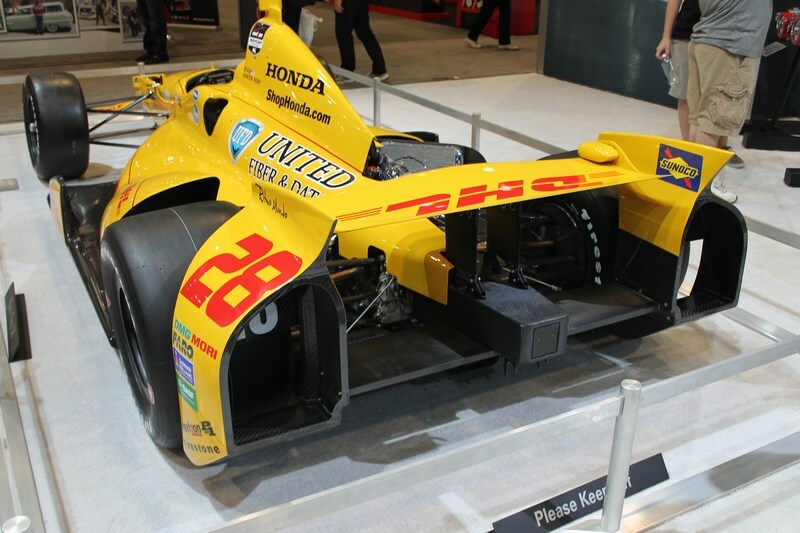 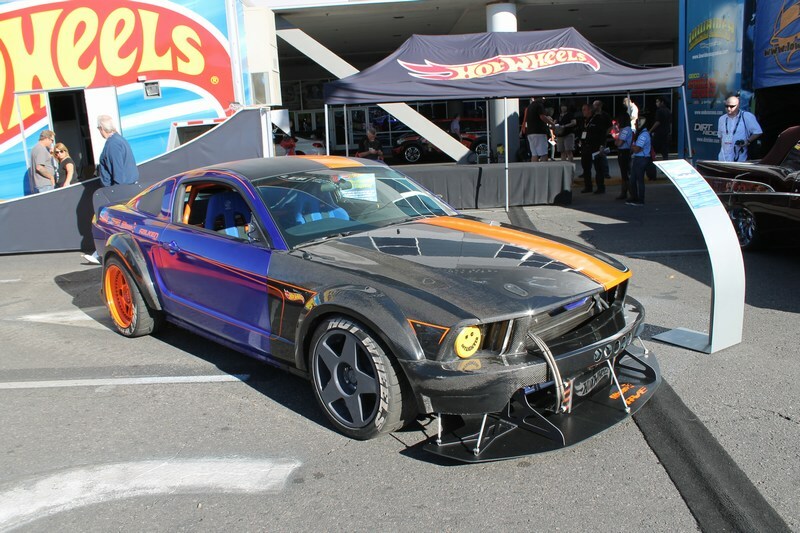 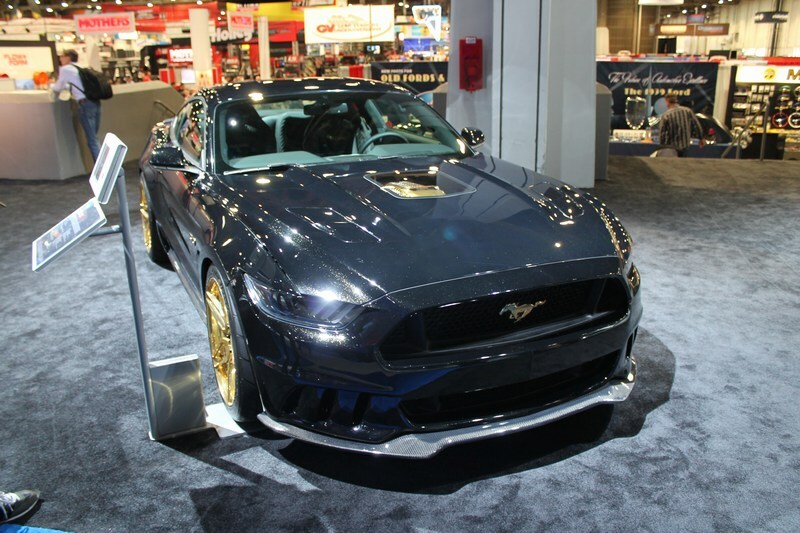 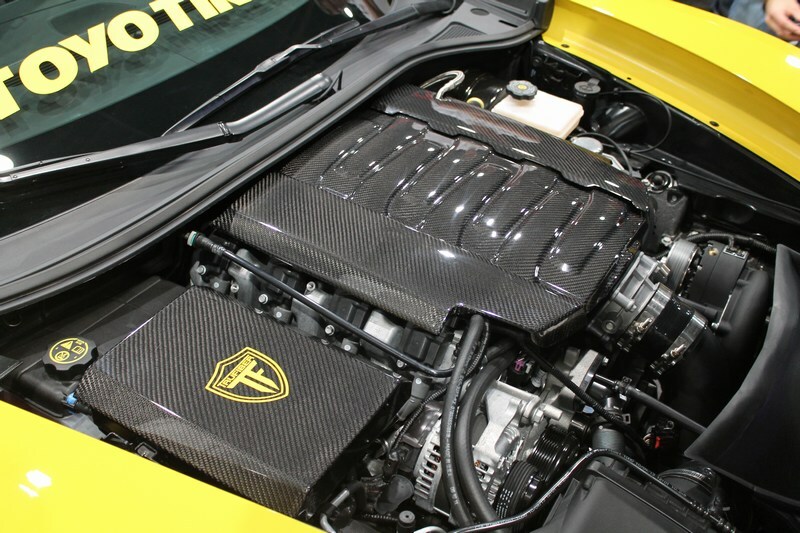 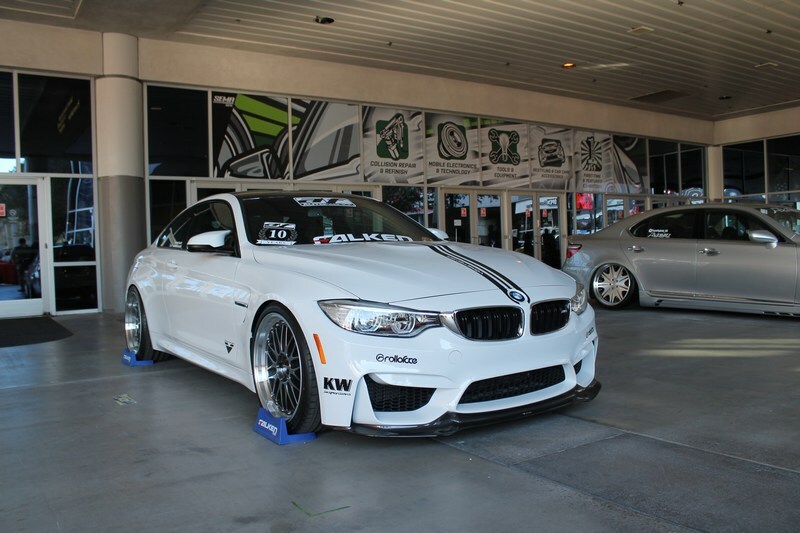 Take a look below at all the carbon fiber that was used in this years SEMA cars. 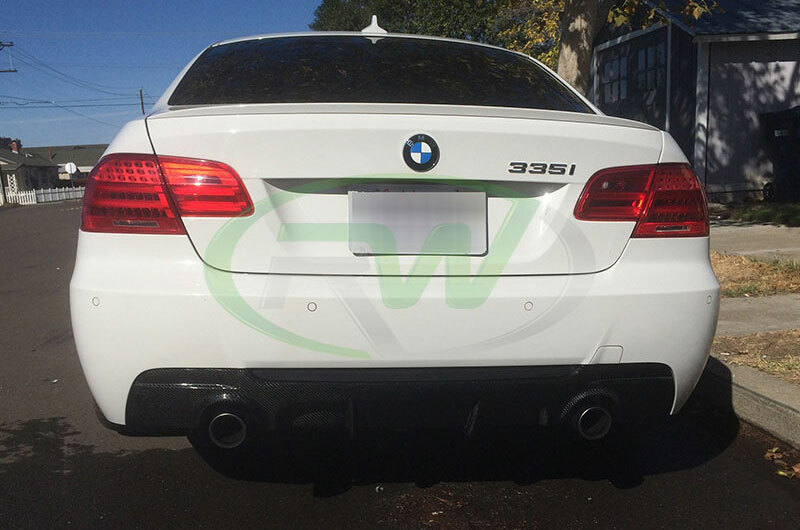 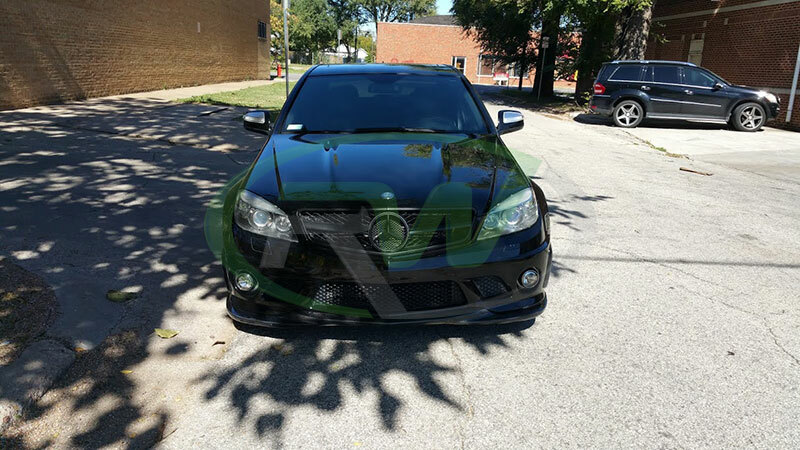 RW Carbon now stocking the ever popular BMW E92 Full Carbon Fiber Performance Style Diffusers. 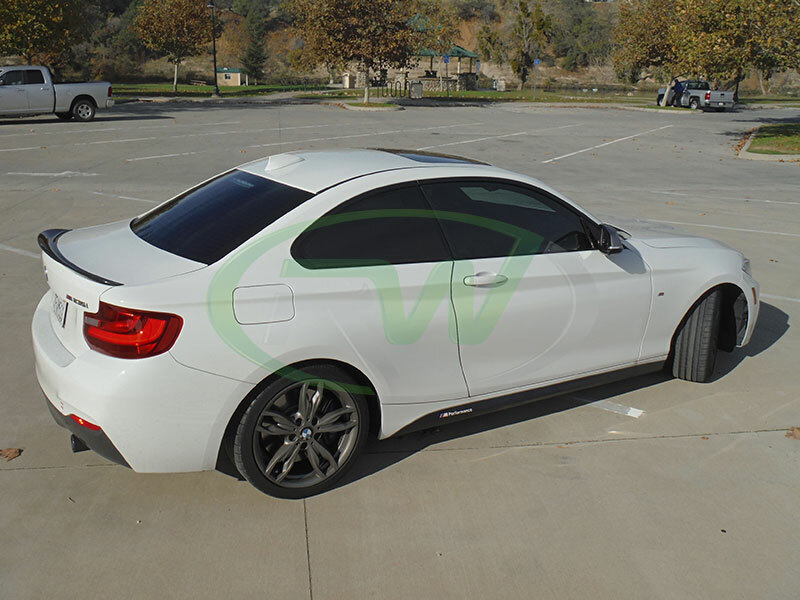 These are notorious for having bad fitment, but by working closely with our supplier we are apple to produce a piece that is far superior in quality and fitment to that of our competitors products. 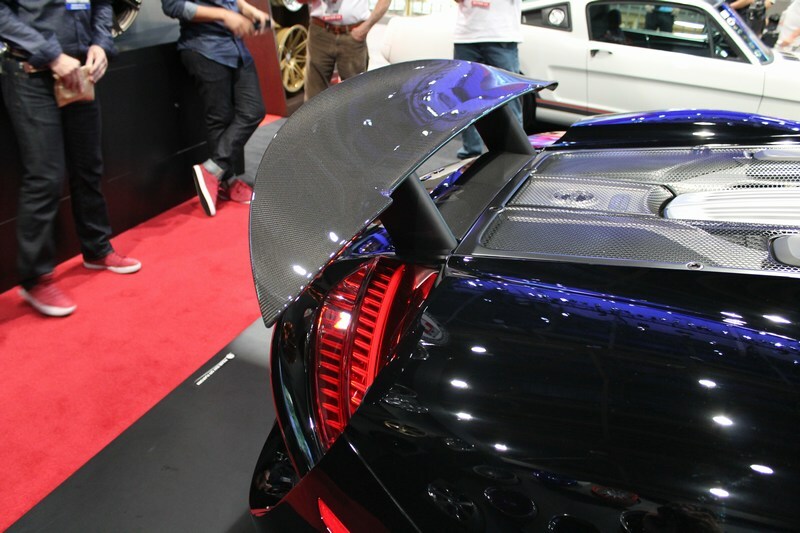 This diffuser is made out of real 2×2 carbon fiber and is then clear coated for the beautiful deep crystal shine. 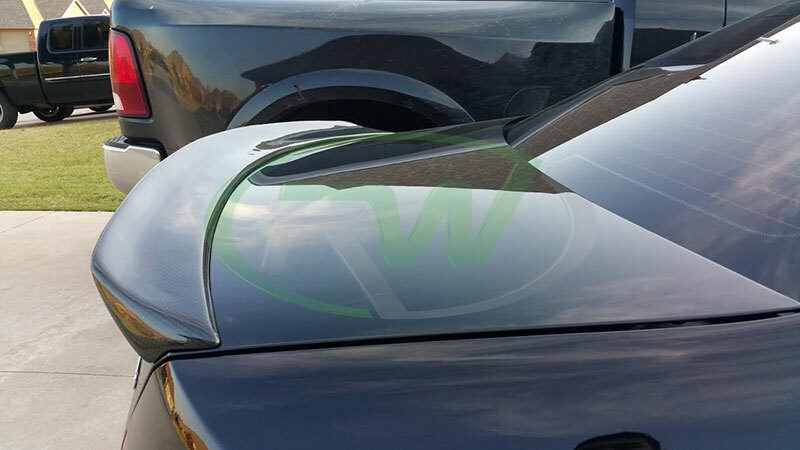 Each diffuser must pass a meticulous quality control check at RW Carbon before they ship out to guarantee the best products to our customers. 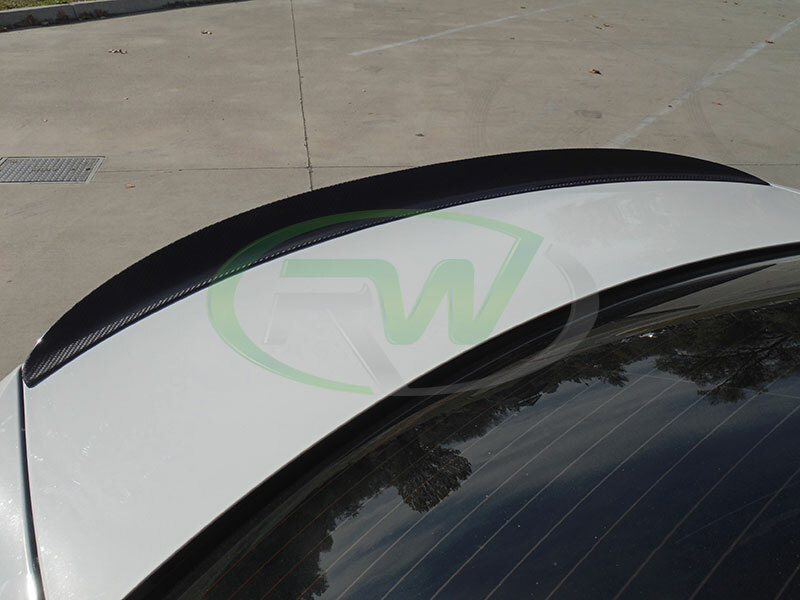 Each E92 diffuser is backed by RW Carbon’s fitment guarantee.